A 10-point defeat away to a side that has now won their last 10 consecutive Tests. That statement represents the stark outcome for England on a soggy Sunday in Dublin. However, for a team holding ambitions of silverware who demand high standards, a 19-9 reverse against Ireland would have stung rather more. For a start, there was little of the vim and vigour that helped overturn Wales. As Stuart Lancaster admitted, the visitors “hardly fired a shot” in the first half. Secondly, moments of indiscipline stunted England’s progress. Given this squad has travelled through a number of chastening lessons – 2013’s 30-3 loss at the Millennium Stadium, numerous Southern Hemisphere close-shaves – inexperience cannot be rolled out as an excuse any more. 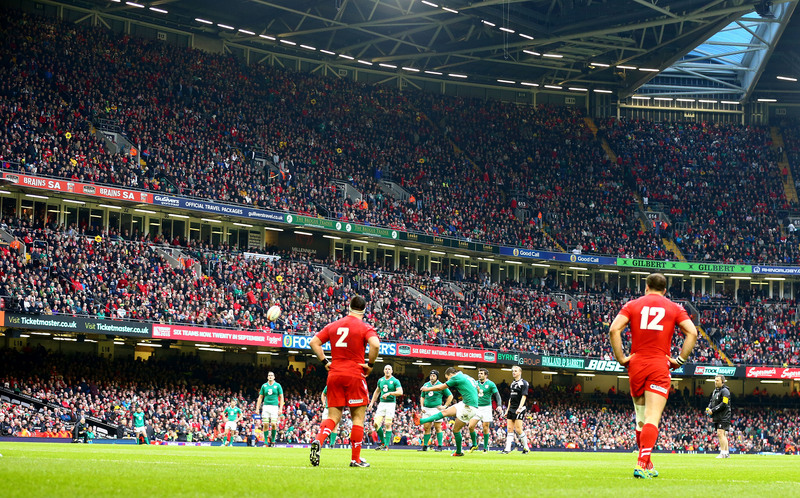 Here is a run-down of six moments that crystallised a tough afternoon across the Irish Sea. It was not in the least bit surprising that the tactical kicking of Ireland half-backs Conor Murray and Jonathan Sexton was spot on. What was extra impressive was the hosts’ industry off the ball, not just chasing hard but also making sound decisions and effective interventions at the ensuing contact area. The ball is forced out and Devin Toner pounces to complete an early turnover, which eventually resulted in Ireland’s first three points. The Leinster lock stood tall to finish the opening quarter too. On the BBC’s live coverage, Sir Clive Woodward laboured the rather redundant message that Chris Robshaw should have opted for a kick at the posts rather than to touch at this point. It was an easy argument to make in retrospect. England’s maul has been functioning well this season, so going for the try seemed a sound decision. It works brilliantly. They steal the lineout and quell a prolonged England attack. Having survived an extended period of pressure thanks to Billy Vunipola‘s ruck turnover, England need a sturdy set-piece and a proper clearance. However, their exit strategy is derailed. Ireland do well to muscle the visitors’ maul towards touch, putting Youngs in a cul-de-sac. Burrell errs on the side of caution with Robbie Henshaw and Payne rushing up, though. He is enveloped, Ireland win a penalty and are six points ahead again. Shipping 13 penalties to Ireland’s eight was never likely to end well. Indeed, this is an example of an avoidable infringement. Attwood was tireless in defence and topped the England tackle-count with 19. In this case though, he makes the challenge on Paul O’Connell but does not roll away quick enough or in the right direction. As well as indiscipline, this also highlights the disparity in ruck speed between the teams. On defence, Ireland piled in and sapped the pace of England’s phase-play to a near stand-still. We will get onto this in more depth later. Conversely, thanks to consistently strong clear-outs and ball presentation, Murray buzzed around and dictated the cadence of his side’s attacks. As such, Ireland could come forward with more conviction. This is a copy-book piece of counter-rucking, epitomising Ireland’s technical excellence under pressure and foreshadowing their pivotal, potentially tournament-winning try. To their immense credit, England did not give up on this game in the third quarter though things were slipping away rapidly. A Ford penalty cut the deficit and they began to get through a few phases. However, this defensive set from Ireland extinguished even the most distant hope. Throughout the match, Ireland’s defensive breakdown was exceptional. Both legally and illegally, they ensured their opponents stagnated. England now end the Six Nations with two Twickenham ties against Scotland and France. Two wins are a bare minimum. If they achieve that, they retain a title chance. While this weekend will hurt, Lancaster must regroup the troops as quickly as possible. A trophy is still a possibility. What a World Cup launchpad that would be.